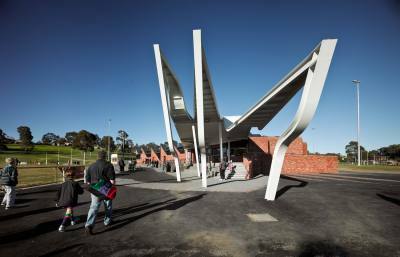 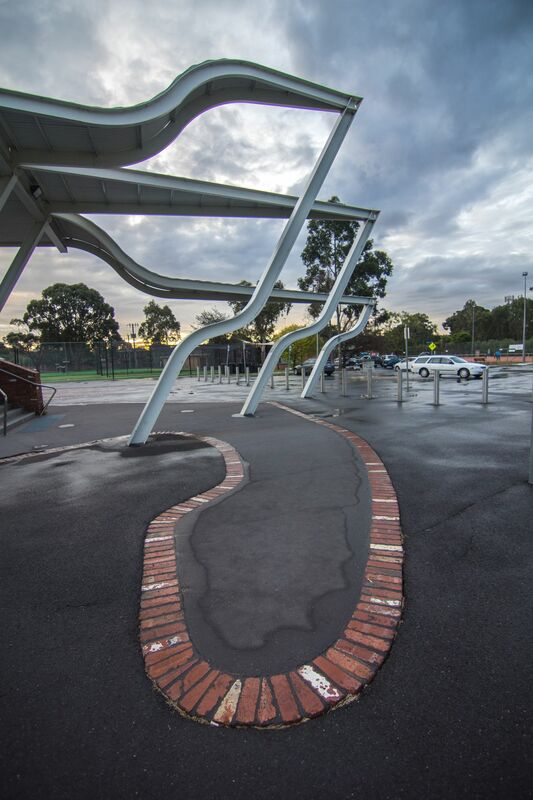 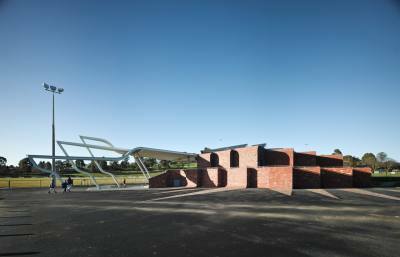 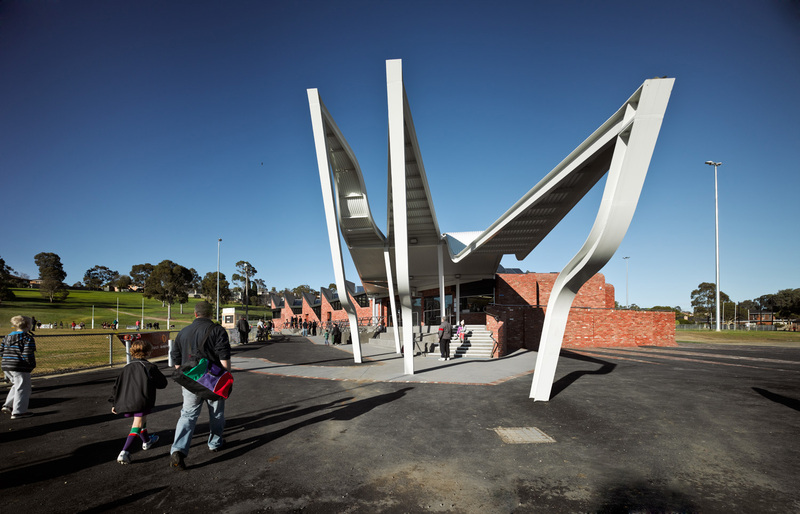 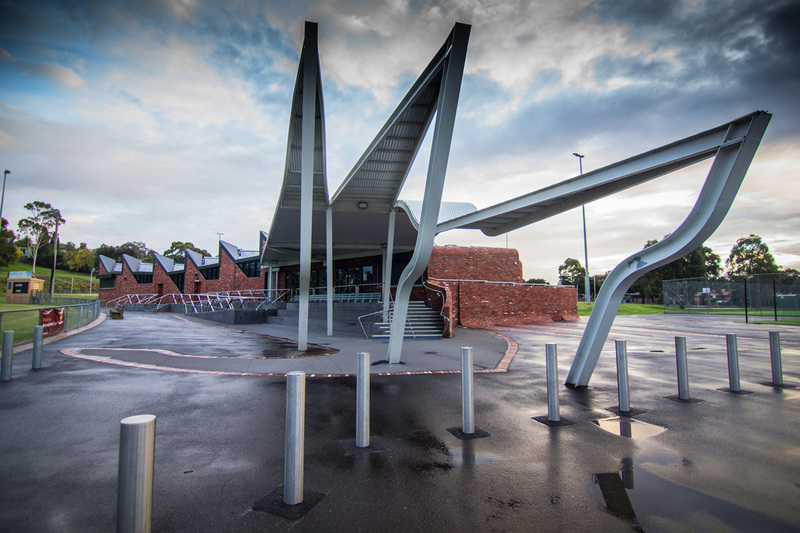 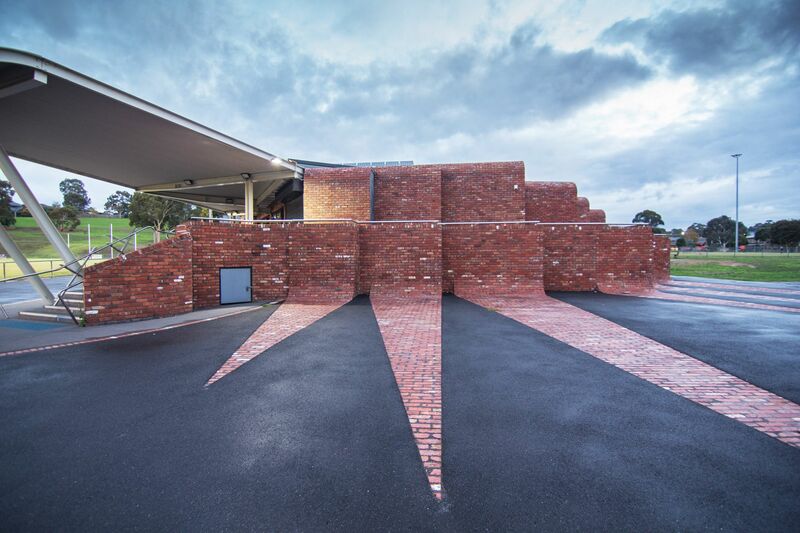 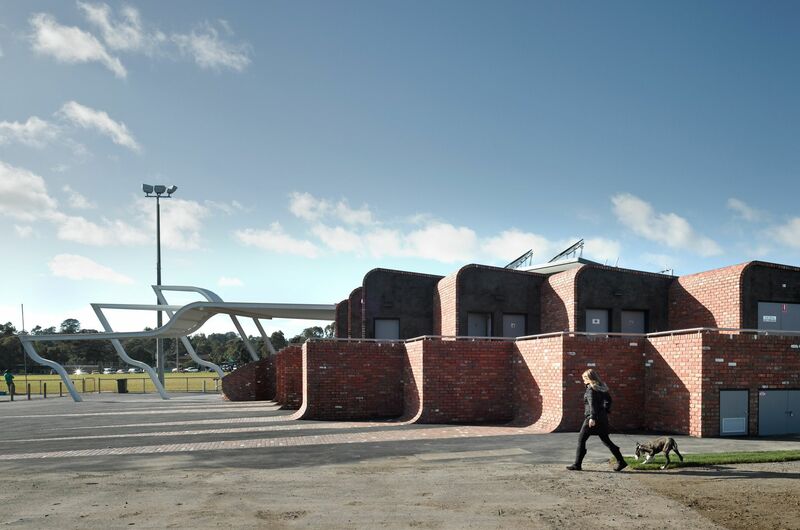 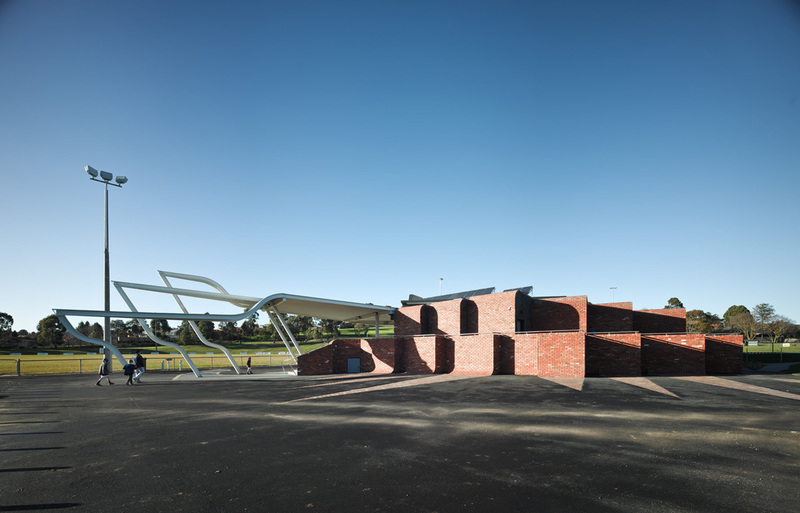 Completed in readiness for the first home game of the Templestowe Dockers in 2010, the project was reverently referred to by Steve Brennan, then President of the Templestowe Football Club, as the “Sydney Opera House of sporting pavilions”. 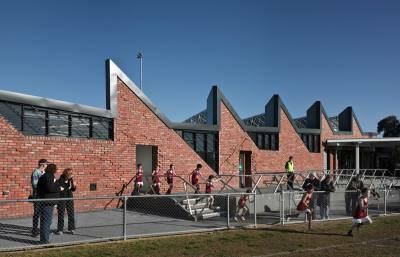 The 100 year history of the football & cricket club (represented by different jumpers & crests) is celebrated in the form & brickwork facades of the building. 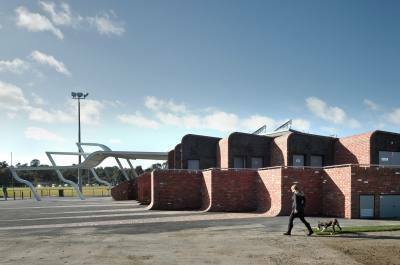 The V-shapes set into the façade were also strategically oriented to express the rows & rows of solar panels fitted on the roof behind. PHOOEY collaborated with services engineers Umow Lai to develop a passive air conditioned plenum which utilized a bed of masonry rubble underneath the new raised slab to enable lower operational energy. 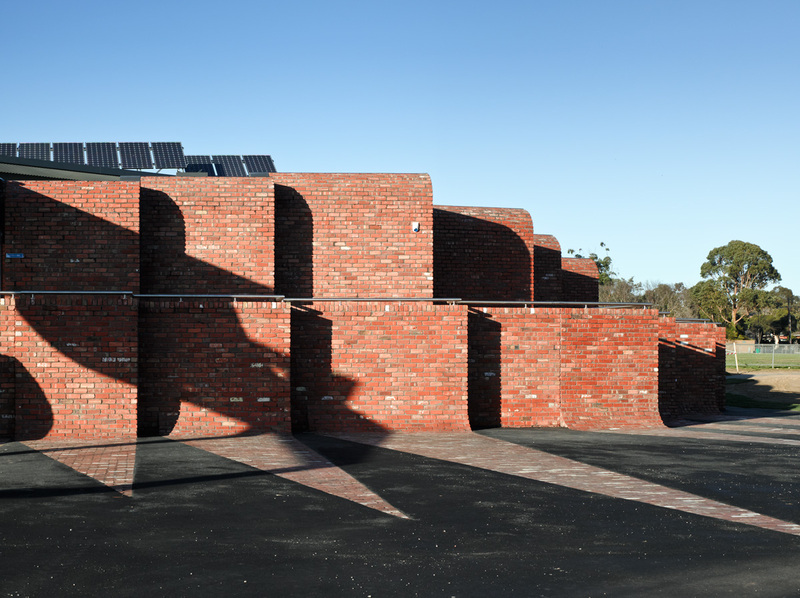 This enabled the demolished materials to remain on site, reducing embodied energy. The project aims to be carbon & water neutral & features a diversity of passive & active energy & water efficient systems. 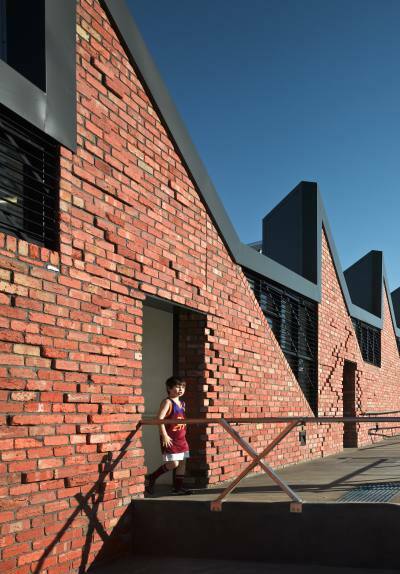 From the changing rooms, players burst through the brickwork run-through facade & jog directly onto the ground. 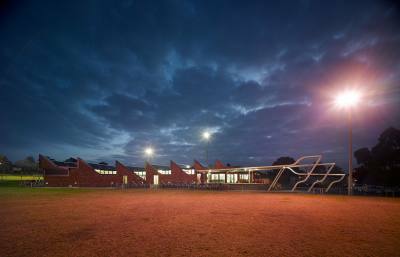 Viewed from the reserve entry, the building tries to start a Mexican Wave to generate match day spectacle.